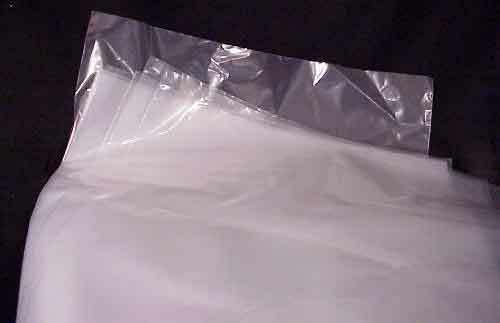 These perfectly clear, polyethylene bags are great for storing paper or finished art work. We have them for Twinrocker's paper storage and we love them. No more bent corners, wrinkled edges, or dirt, and everything is easy to find. Click picture to enlarge; Click price to Add-to-Cart.